Figure F-22. Conceptual Shemes to Resists Liquefaction- Included Settlement Or Bearing Capacity Reductions. 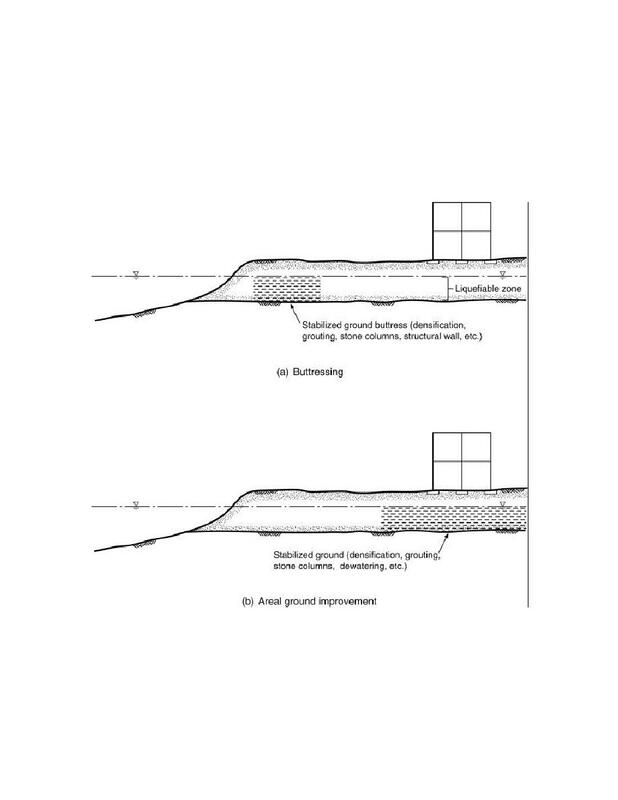 Conceptual schemes to resist liquefaction-induced lateral spreading.